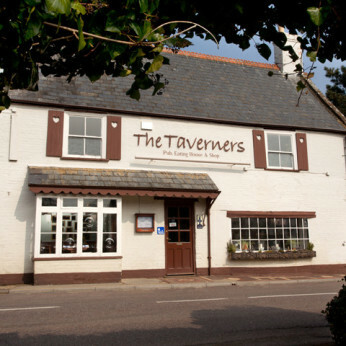 The Taverners is a real country pub that is popular with locals and tourists alike. We buy our produce daily depending on what is available at the markets, from the farms & what has been caught, foraged, shot or hunted. We take our drink seriously as well, offering 10 wines by the glass, a selection of premium spirits, quality draught lagers & real ales including our own Taverners brew. Throughout the year we make some seasonal treats such as vin d’orange, limoncello & muld wine. We have also opened a small shop within the pub where you can purchase many of the products we use in the kitchen alongside Island made products. This project was part funded by The Rural Development Programme for England (RDPE), which is funded by Defra and the EU. The European Agricultural Fund for Rural Development (EAFRD): Europe investing in rural areas.